Facebook founder’s philanthropic organization lures Lee from Princeton Endowment. The Chan Zuckerberg Initiative (CZI), a philanthropic organization launched by Facebook founder and CEO Mark Zuckerberg and his wife, Pricilla Chan, has named David Lee, managing director of the Princeton University Investment Co., as its first CIO. 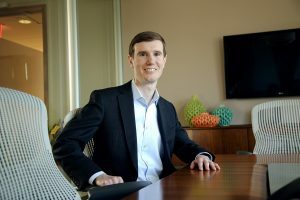 The organization said Lee will work closely with its investment committee, which is chaired by David Swensen, CIO of the Yale University endowment. Lee will be responsible for managing an investment portfolio that will support the organization’s three core initiatives: science, education, and justice and opportunity. “David Lee’s passion for social impact and experience growing one of the most successful university endowment portfolios in the country will be a tremendous asset to CZI,” Chan said in a release. Other members of the investment committee include Matt Cohler, general partner of Benchmark; Carter Simonds, former managing director of Blue Ridge Capital; and Lei Zhang, founder and CEO of Hillhouse Capital. While at Princeton, where he worked for more than eight years, Lee worked on asset allocation and the marketable asset categories, including domestic equity, international equity, and independent return. Prior to joining Princeton, he was an analyst and an associate at ABN AMRO in London, where worked for two years. Lee earned a degree in economics and econometrics from the University of York in the UK, holds an M.S. with Distinction specializing in Quantitative Finance from the University of Reading (UK), and received an MBA from the Yale School of Management.